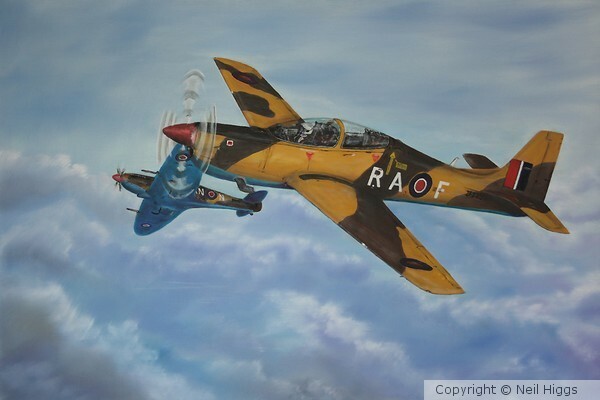 Artist Reply: Many thanks Conny...it`s always a great honour to do these paintings for the RAF, especially when I meet veterans. Wonderful job, the plane is made here, in Brazil. Artist Reply: Many thanks for the comments Waldemar. I understand that your countries display team "Smoke Squadron" fly Super Tucano`s now...would like to see them over here again with the new aircraft.